I said ‘duct’, not duck. Degreasing a duck is a nasty job! Look no further. BEST HOOD CLEANING in Sacramento, California has your back. We apply our tools to your restaurant duct degreasing to ensure that it is the next thing after “brand new” by the time we leave. 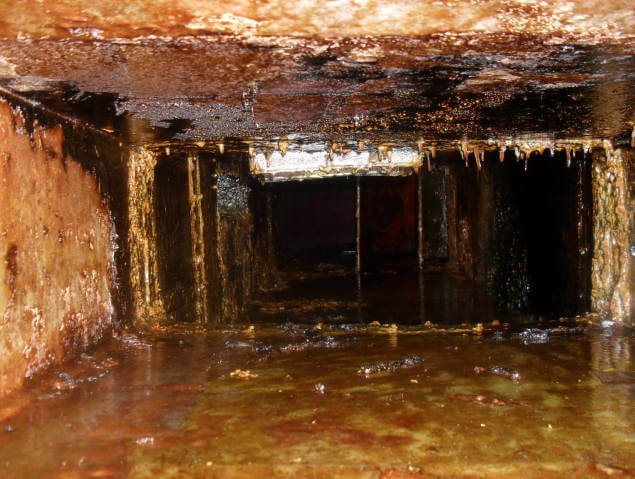 We call ourselves ‘hood cleaners’ but our work goes far beyond cleaning your restaurant kitchen hood and we are cleaning every nook and cranny of your whole hood exhaust system which includes ‘duct degreasing’. Keeping in mind that hinging your exhaust hood is required in the state of California, we will address this upon our visit. An exhaust hood without hinges can be a fire hazard and can result in a damaged exhaust cap. 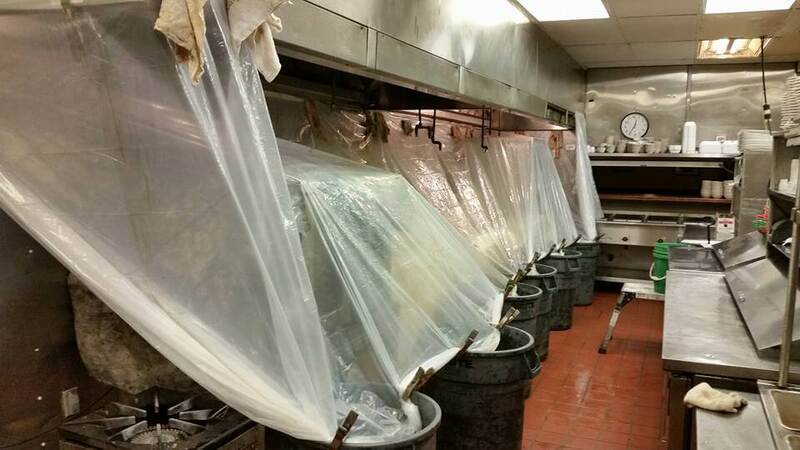 A hinged exhaust hood allows cleaning services like us to simply open it, rather than remove it and set it aside. Since they are made of very soft aluminum they are prone to getting bent and damaged very easily–and that can happen by setting it on the roof. 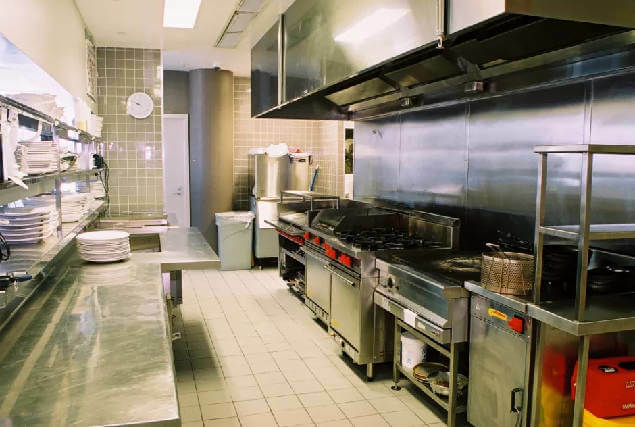 A damaged exhaust hood is a fire hazard and allows for duct buildup which requires more extensive restaurant duct degreasing. BEST HOOD CLEANING proudly services Sacramento for restaurant duct degreasing and is fully insured, bonded, certified and licensed. This is a duct in bad need of restaurant duct degreasing.